Peer through the window of the unassuming storefront on Avenue J and E 15th St in Brooklyn and most days you’ll see the same sight: Dom DeMarco, the 80-year-old owner of Di Fara Pizza, massaging pizza dough into a thick base, spooning chunky tomato sauce on top, then adding hunks of mozzarella, a dusting of Parmesan, and a glug of olive oil from an old brass kettle. 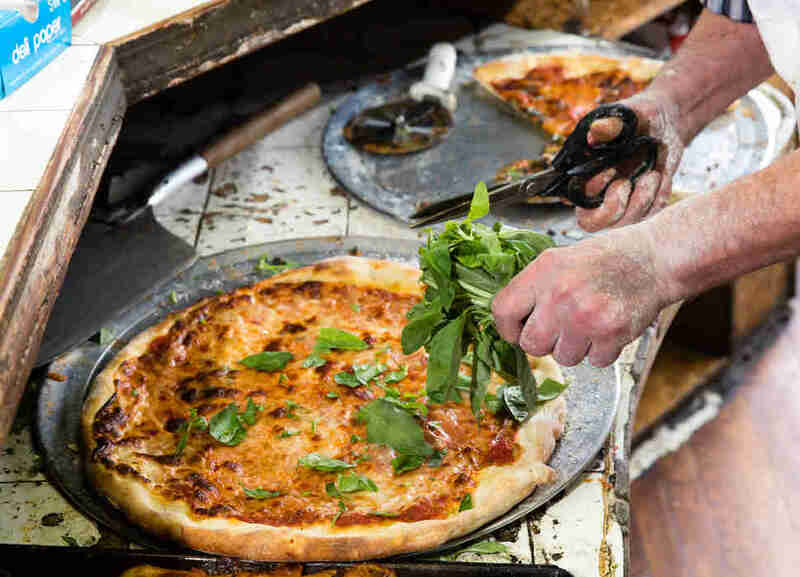 After giving the pizzas a quick bake in the oven, he’ll chop fresh basil atop each pie with a pair of scissors that, at this point, have molded to the grooves of his fingers. 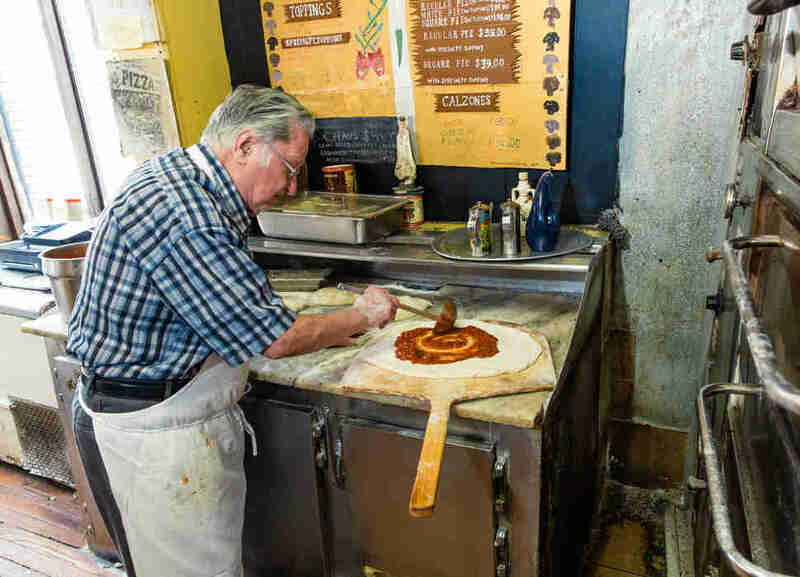 In a city that’s overflowing with pizza joints, it is precisely this scene -- a lifelong pizza maker crafting each pie by hand, day by day -- that has made Di Fara New York’s most fabled slice destination. 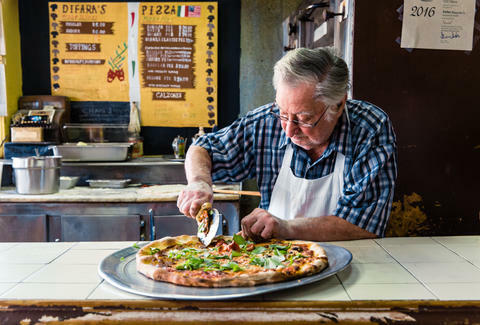 But now, for the first time in the restaurant’s 51 year history, things are starting to change: The Di Fara experience is no longer one that always centers around DeMarco. It’s not just the location that has gone unchanged all these years. The pizza recipe, the exact ingredients (he sources almost everything from Italy) and the process is the same as it was several decades ago. And, with the exception of a forced redecoration in the ’70s (“The landlord made him add paneling and paint the walls because everyone else on the block was changing their look,” says Dom DeMarco, Jr. “My father was crying when it happened.”), the space has remained nondescript: no outside lighting; wrinkled, whitish-beige walls; a couple framed photos of old press clippings; five or so rickety tables; and Dom DeMarco Sr., in his usual post next to the pizza oven, as the center of attention. “I SAID I MADE EVERY PIE, SO NOW I HAVE TO MAKE EVERY PIE.” -- Dom DeMarco Sr. Still, that does mean that on certain days, customers don’t get to experience the defining attraction of the restaurant -- watching Dom craft the pizzas behind the counter -- and for some guests, that’s a deal breaker. “I’m sure his kids are well trained... but we would be disappointed if he wasn’t making them,” says April Banks, a regular visitor from Oklahoma. “CHANGE IS GREAT, BUT FOR THE PIZZAS, I BELIEVE IN DOING THINGS THE OLD WAY” - Dom DeMarco Jr. The transition to UberEATS has gone relatively smoothly. Dom DeMarco Jr. will come in early to make a few extra pizzas that are ready to be popped in the oven for delivery orders, but most of the time, Mieles explains, the restaurant is too busy to enable delivery (meaning you won’t always find it available on the app). The most important piece for her during the transition has been making sure her father doesn’t have to do anything different when the orders come in: “He doesn’t really complain, as he still gets to do his job,” she says. Getting on UberEATS might seem like the beginning of a push toward technology for the still-cash-only restaurant, but Mieles stresses that she feels no compulsion to modernize: “This is the only trend we will ever latch onto.” Case in point: Di Fara doesn’t even have a website, its Twitter and Facebook presence is extremely minimal, and its Instagram contains only three posts, the last one of which was posted three years ago (in contrast, the Di Fara Pizza geo-tag counts thousands of posts). 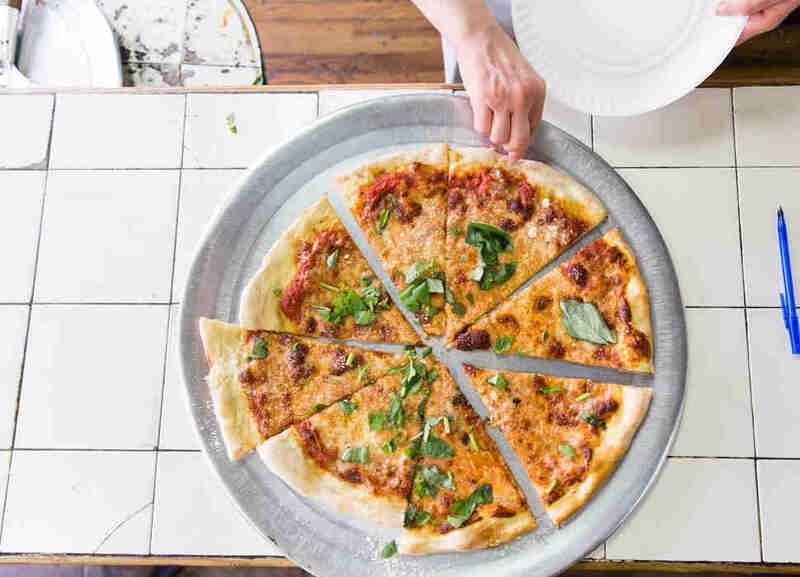 Priya Krishna is a New York-based food writer and the proud owner of a pizza-shaped trophy that reads “Winner 2014: PIZZA-EST.” Follow her for both pizza and trophy pics at @PKgourmet.